Full disclosure: I’m not a huge sports fan, though I’m passionate about the Olympics and sports history. So when I tell you how much I lovedCurly’s Pocket Guide to Sports, developed by Wilson Fletcher Ltd., you’ll understand that it’s pretty rare for me to get worked up about anything sports-related. 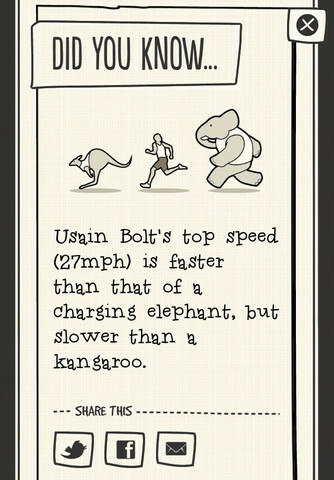 This awesome little iPhone app is only a buck, but offers tons of fun facts, trivia, and sports information, all in an interface that’s totally inviting and cool. Perfectly blending content and layout, it’s hard to find fault with Curly’s Pocket Guide. 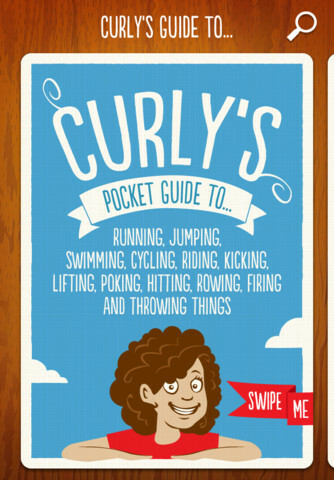 Just in time for the London Olympics, Curly’s Pocket Guide to Sports is the perfect way to read up on the rules and regulations surrounding the events. Sure, you could Google that info, but why? Using this app doesn’t feel like researching, it feels like reading for pleasure. In fact, the whole experience is a bit like those old Ripley’s “Believe It or Not” books I used to devour on summer vacations as a kid. The content of Curly’s Pocket Guide to Sports has a great blend of humor, cool trivia, and genuinely helpful, non-jargon-filled information. 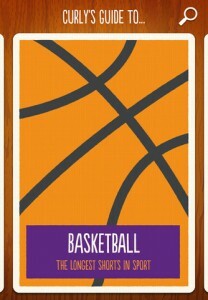 Curly’s Pocket Guide to Sports covers 72 different sports. 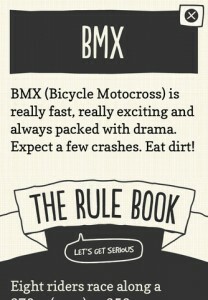 In addition to the usual Olympic suspects, other sports like BMX also get their time in the sun. 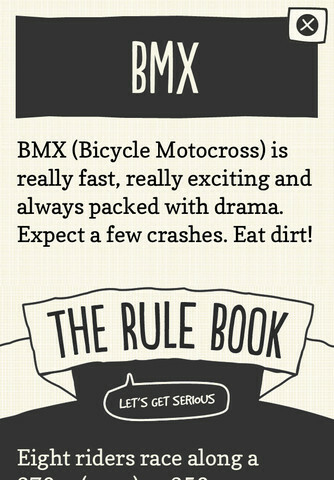 You tap on a card image, which then unfolds into a fact sheet about the sport’s rules and history. You can swipe through the cards to browse, or use the search function to find your sport of interest. A cool feature is the ability to share info from Curly’s Pocket Guide to Sports with friends using Twitter, Facebook, or email. 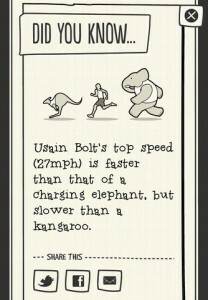 It’s not cool because of the shareability factor, but rather cool because some of these factoids are truly so interesting that you feel compelled to share them. Whether you want to study up before the Olympics or just have a better grasp on popular sports, Curly’s Pocket Guide to Sports offers a gorgeous interface, amusing facts, and tons of fun for sports fans and non-sports fans alike. 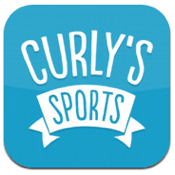 Curly’s Pocket Guide to Sportsis compatible with iPhone, iPod touch, and iPad. Requires iOS 4.3 or later.